Chucho Reef is named in Spanish after the many stingrays you will find here on the sand and under the rocks. 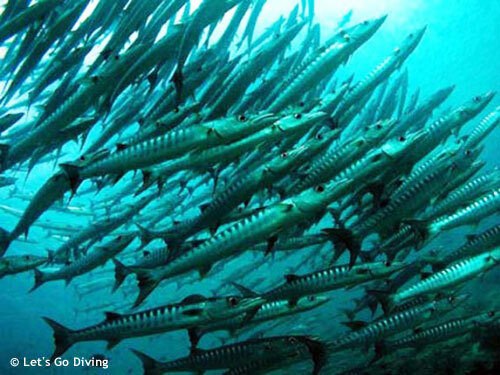 One of the most beautiful reefs in the South, near Pasito Blanco, is the Chucho Reef. This oval shaped reef rises up for 1.5 to 6 meters from the surrounding sand bed. It's called Chucho reef because of the Chucho's, Spanish for Stingrays, we often find under the overhangs of the reef. Eagle rays and marbled electric rays are likely to find as well. Another great feature of the reef is the presence of the thousands of Roncador grunts. There can be so many hanging around that they actually block your view of the reef! The only hardboat based divecenter in the Canary Islands. Daily divetrips to the most beautiful divesites in the south of Gran Canaria.